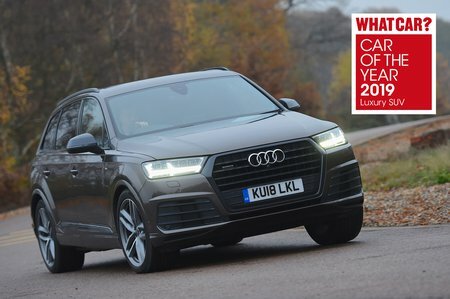 Audi Q7 45 TDI Quattro S Line 5dr Tiptronic 2019 Review | What Car? What Car? will save you at least £5,140, but our approved dealers could save you even more. The outstanding Audi Q7 offers a relaxing blend of comfort and sheer power with only the BMW X5 beating it for overall driving involvement. All iterations feel classier than the Volvo XC90 with a list of luxury equipment and upgrades available, while the new SQ7 and e-tron editions due later in 2019 will cater to an even wider range of buyers. Even the less powerful of the two 3.0-litre V6 diesel engines, in the 45 TDI, delivers smooth and gutsy acceleration. But the eight-speed automatic gearbox that comes as standard is tuned to maximise emissions savings, so can be reluctant to change down at times, even if you give it plenty of gas.